Well I guess it's been awhile since I've updated, just been so tired by the evenings. 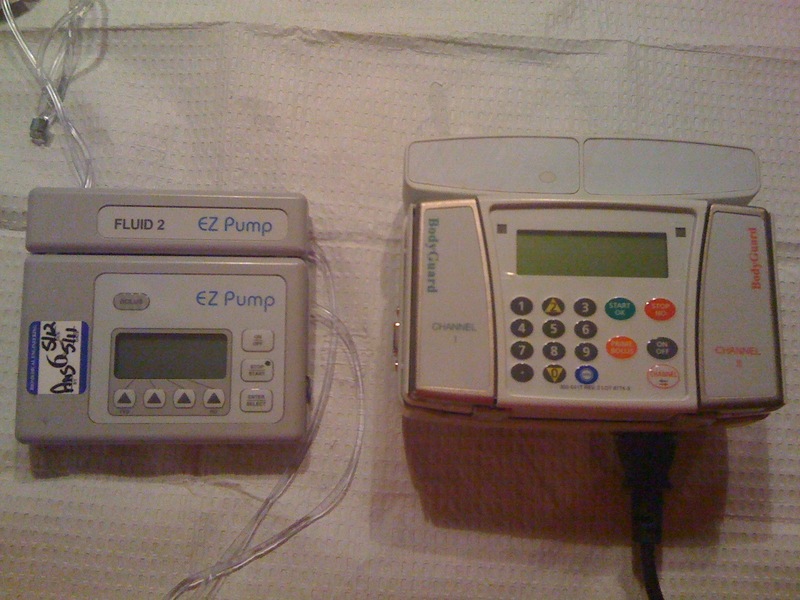 We finally received the new pump, we gave in after all the troubles the refurbished has given us. Still learning it a bit and hope to have it running soon. 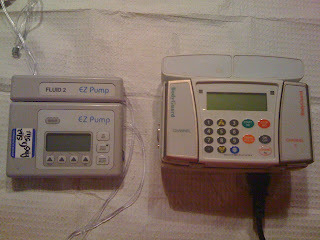 One of the clinic's patients family member made up a video on how to charge, load, & program the new pump. Thank goodness! Between the video and Missy, Gage's mom from Houston, I've been learning little by little. Kass has had it kinda rough these last few weeks, symptoms seemed to subside and then flare again. It was so frustrating. Her throat was so sore from throwing up so much, we felt so helpless. When we thought we had the symptoms under control they would start again. The clinic suggested we start maybe trying IV decadron, this is a steroid that is directly administered through her broviach catheter/port. We were so scared to give it since if given to fast through her port it can cause immediate vomiting, but we were so cautious and after giving it to her we noticed almost immediate relief of symptoms. They also suggested we get an immediate MRI. Ryan and I were so worried that it could be tumor growth. So to Steinberg Diagnostics we went! We received the results of the MRI on the following Monday showing that we had a stable tumor. Unlike last time, we were elated and so thankful!!!!! MRI did show a bit of swelling so we upped the dose of decadron a bit to help her with the swelling. 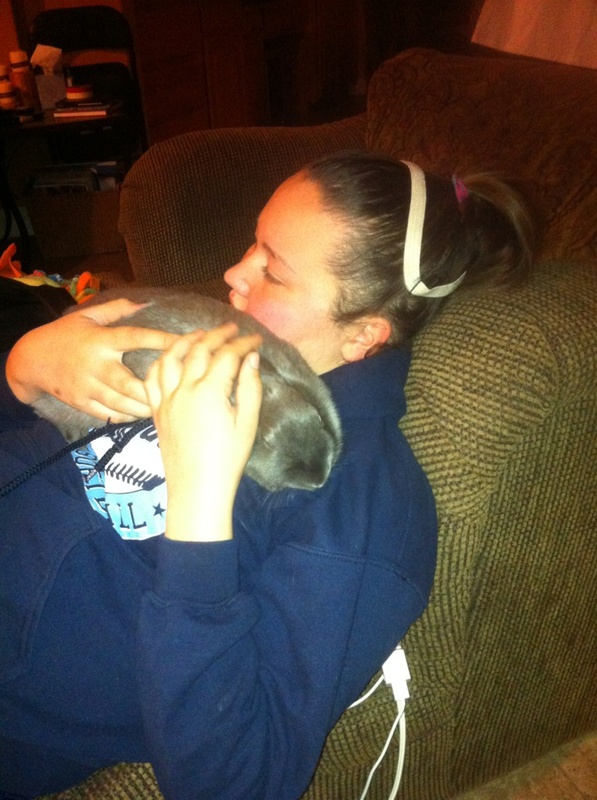 Hoping to soon start weening her again, but after she has felt better at least for awhile. It's been great this last couple of days since she's been able to actually be back to her activities, school, & friends. This weekend was one of the best ones she's had in a long time. 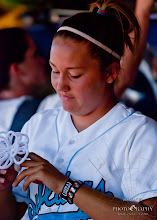 She was even able to go to Centennial HS first softball scrimmage game on Friday. It was so great to see her back in softball uniform, but at the same time it pained me to not actually watch her play. But again, she's just so happy to be part of it. My sweet girl! Keep fighting Kass! Our prayers are with you! 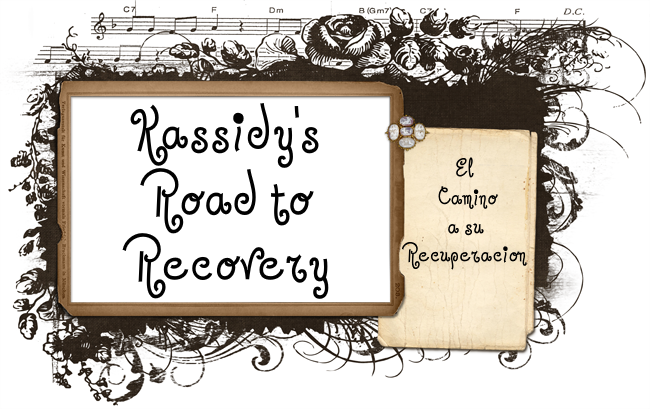 Fight on Kassidy and don't give up. We are lifting you up in prayer. What a warrior you are! !